To me, the oddest part about the sabbat(h) or holy day of Summer Solstice is that it marks the beginning again of our lean towards the dark half of the year. It’s one of those beautiful oddities, the sweet strange fullness of paradox that we are challenged to hold if we seek truly to hold life with wisdom. Which for me also entails some willingness to travel lightly, open to letting go of as much as I can of what I think I know, in order instead to experience some semblance of grace by being in the moment. Connected to my chance, right now, to live. The old way, or traditional way of the ancient Celts, I’ve been studying by walking now for 22 years. Each passing tide of moon or holy day teaches me some new subtlety merely by minding, or paying attention, to what is going on in my own real life day to day. This year I’ve been really moved by how the old way used to mark the Summer Solstice, our modern traditional start of summer, as “midsummer.” If we seek to understand the actual growing seasons in nature, this peak of daylight yesterday and today marks as well peak sunlight for the new crops. All of which photosynthesizes into fruit. I am intrigued by this quickening of growth. It is, as the last new moon cycle came on, marked by rapid acceleration and people too seems to speed up as Solstice approaches. Patterns in nature are replicated in human group-think and behaviors. I like to see what is emerging among my different communities and larger culture, against the backgrounds of these cycles. Tracking moons each month and the sabbat(h)s each year helps me trust life, because it’s how I watch time. I can tell you for certain. I trust Timing. It truly has a way of taking care of itself. The book Women Who Run With Wolves is all about this ancient timing and how fractures and injuries to our connection with it are detrimental to our development and culture as a whole. She calls it the Wild Woman nature, but regardless what you call it, being severed from the earth’s natural Timing is to me perhaps the most legitimate wound of our modern culture. “The comprehension of this Wild Woman nature is not a religion but a practice. It is a psychology in its truest sense: psukhe/psych, soul; ology or logos, a knowing of the soul. 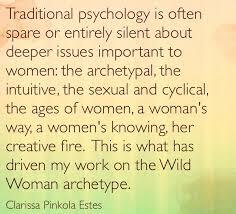 Without her, women are without ears to hear her soultalk or to register the chiming of their own rhythms…When we lose touch with the instinctive psyche, we live in a semi-destroyed state and images and powers that are natural to the feminine are not allowed full development.” Pinkola-Estes, p.8. This last dark to new moon was truly brutal. Suicides of famous celebrities and elsewhere, literally everyone I know touched by tragedy or death. A living theme for all I saw had to do with the ways we are acculturated to not listening to what we need, to not just not trusting, but truly not taking good care, of our light within. Use the alchemy alive right now friends. What insights have emerged at this peak still point today and yesterday? Last week and the week before, what was really stressing you out? Hold your various inner darknesses, especially the parts of you that cause you fear, pain, resistance, shame. Hold it softly, as an invitation of what parts of you need healed with your own unconditional self-acceptance. Hold this acceptance as your new mantra, and love these parts of you back to healing and wholeness again. To alchemy. To mama nature, and her endless beginnings and endings and ever in-betweens. To going out as much as you can to play. Next Post Lunar Lammas. The root of real Magic.